Lean is a common concept in manufacturing and a working standard that many producers aim to achieve. It’s the idea that to achieve manufacturing excellence you have to maximise customer value while minimising waste. There are many ways to achieve a lean culture in production: one method in particular is through automation. Automation in manufacturing has a very rich, long history dating all the way back to Henry Ford. His idea of arranging machines in a way that streamlines production is known as one of the first forms of lean manufacturing. 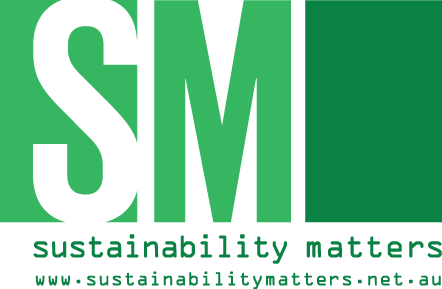 In fact, lean manufacturing and automation both aim to achieve the same goal: maximising value for the end user while minimising waste. However, there is often a misconception that automation isn’t applicable in a lean setting. This stems from the idea that since automation requires conveyance and conveyance is transportation (which is one of the wastes of lean), automation is therefore not a lean process. However, there are many other benefits of automation that can prove otherwise. From afar, the concept of automating production can seem like a costly exercise, particularly when hardware is involved. This raises the question: is the investment worth it? There are four key impacts of automation that can provide ROI. Reducing waste is one half of the overarching goal of automation, and in this context, waste isn’t just defined as being tangible. One of the primary wastes involved is time; time wasted through unnecessary movement or time spent over-processing. The waste of movement or transportation is what can cause the misconception that automation is not a lean process, when in fact it’s one of the reasons it is. 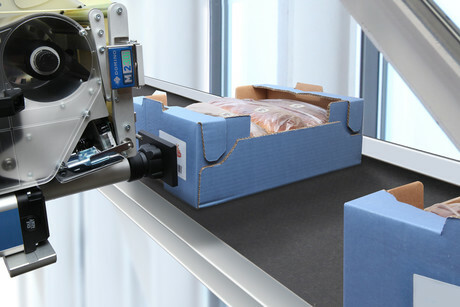 Although conveyors are required for automation, automated machines are also designed to perform multiple tasks at once. This eliminates the need to move materials between stages, and additional over-processing. Through using automation, production can be streamlined, saving time. Firstly, by eliminating wasted time you save money. However, that’s not the only way automation can control costs: it can also avoid overproduction. When set up and programmed to the correct specifications, automated machinery can have a very minute tolerance for deviation. This means the exact amount can be produced at the exact time it’s required, eliminating the chance of stock being wasted. Automation also allows for the same targets to be reached with fewer resources, i.e. fewer workers, or material-moving equipment like forklifts. With the consistency and structure automated machinery can provide, it allows for a standard to be set throughout production. Improved accuracy not only helps in controlling costs and reducing waste, but also improving consistency of the product and overall quality. Although automation reduces the amount of human intervention needed in production, it doesn’t mean it will eliminate people entirely. Removing the people from production means they can be reallocated to perform other tasks or assist other teams in the business. In other words, the labour is being better utilised. Additionally, limiting the amount of human intervention in production processes will also lower the risk of injury. The above four benefits individually can be enough to justify investment in automation. However, together, they can do much more than just save time and money. As a whole, through being able to maintain a set standard of quality and consistency, automation can provide better efficiency in production. In turn, this can lead to improved customer satisfaction and corporate brand image. Break down the process and identify inefficiencies — identify any steps within the process that don’t add value or can be done more efficiently through automation. Prioritise inefficiencies and identify solutions — sometimes not everything can be done at once, so prioritise the steps to replace by what’s achievable and will give the best return, then identify automated solutions. Implement, monitor and review — implement the solution, monitor the return and review if necessary. Looking at the initial cost of automation can be daunting, but when done correctly the benefits can far outweigh the initial cost. By taking the time to identify and prioritise inefficiencies and then implement, monitor and review the implemented solution, you can be confident that the process is well worth the investment. What does automation of labelling look like? Print-and-apply labelling is an excellent example of automation in production. Also known as automatic labelling, it’s designed for use on production lines to first print and then apply labels onto products, cartons and pallets. This form of automation adds consistency and accuracy to the process of applying labels and increases the product quality and traceability through the supply chain. If we consider the application of shipping labels onto both cartons and pallets, there are significant savings in time, not to mention dramatic increases in output of labelled shippable items, when this process is automated. A robust print-and-apply system will also be able to offer flexibility — Where on the item does the label need to be placed? Is one label or two required? Does it need to be capable of integrating variable data? — as well as offering reliability and easy integration into your production environment. It’s crucial to ensure that you choose the right technology partner who can ensure these points can be addressed and is also capable of handling not just current production volumes but is also adaptable to the planned future growth of your business. insignia is the sole Australian distributor for Domino, a global industry leader in coding and marking technologies, and print-and-apply labelling solutions. For more information, visit https://www.insignia.com.au/domino/automatic-labelling-systems or contact insignia on 1300 467 446.